Trekking in Himalayas always give different & best experience doesn’t matter to which place or in which season you are trekking. 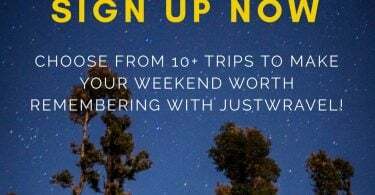 You get to see snowy white fairyland during winters, alluring flowers during spring, a river of clouds during summer and sceneries during autumn. 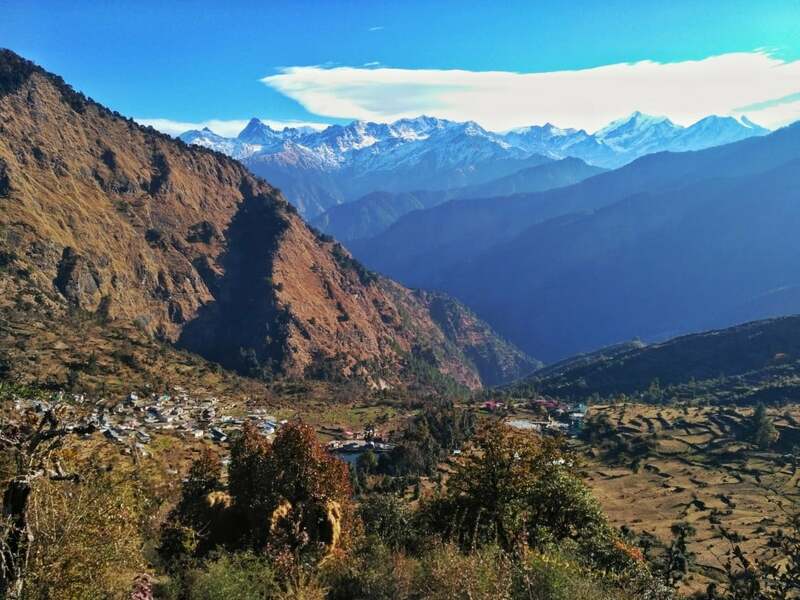 This time I headed for Dayara Bugyal trek in the month of November and experienced the autumn season at its best. 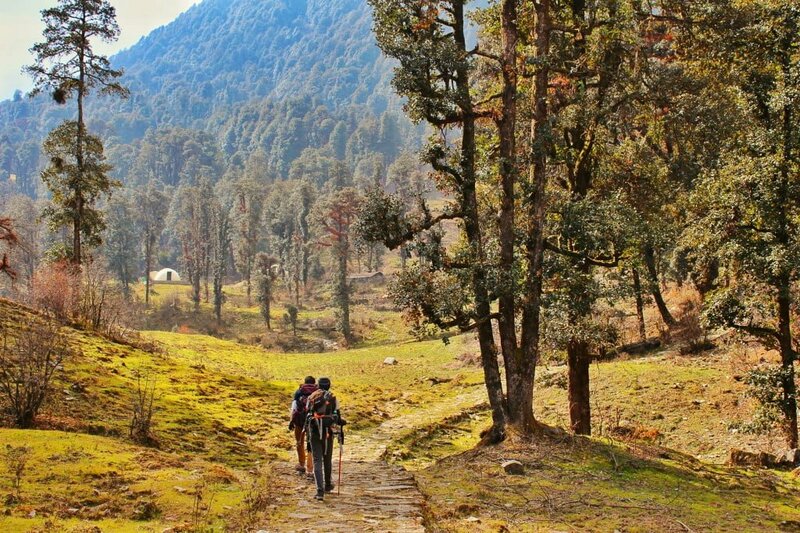 Before starting my journey, let me tell you a little about the Dayara Bugyal Trek. 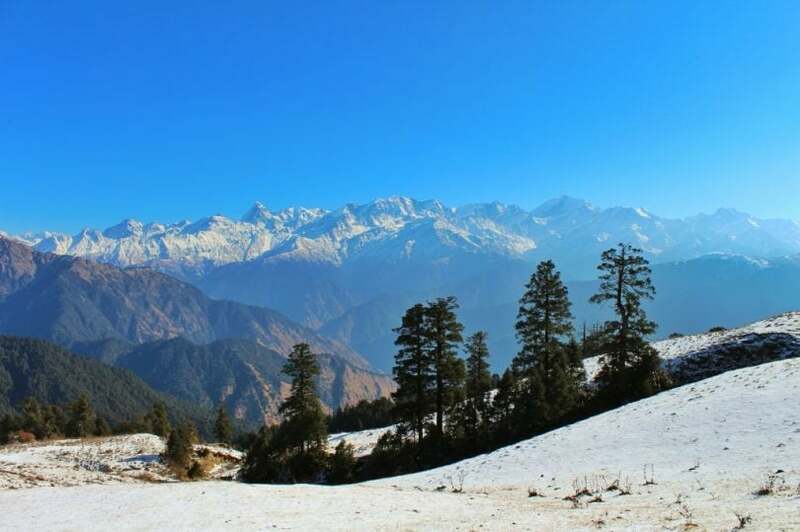 Dayara Bugyal is a 4 days trek having moderate difficulty level which starts from a small village in Uttarkashi called Barsu and it also ends at the same. Situated near the region of Gangotri, the trek offers majestic views of some Himalayan peaks including Srikanth, Gangotri, Jaonli, Banderpuch, etc. In Uttarakhand, the word Bugyal means Alpine meadows or green pasture of land situated at an altitude above than 3000 meters. The drive to Barsu had to be started from Dehradun, so I boarded the Volvo bus from Kashmere Gate ISBT Delhi and reached Dehradun on the next day by early morning. After meeting the trek mates, we started our drive to Barsu village, situated in the Uttarkashi district. Barsu is a tiny hamlet having very less population and is the starting point as well as terminating point of the trek. The village is around 180 km from Dehradun and the drive takes around 6-7 hours usually. We began from Dehradun ISBT and took the Mussoorie road. The view of the Doon valley was scenic as always. 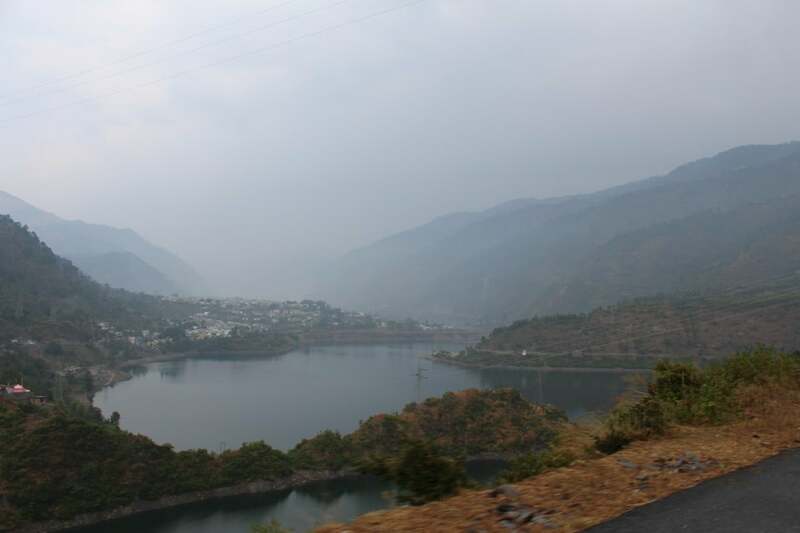 We drove through Dharasu, Chinyalisod, Uttarkashi, and Bhatwari. The drive through the mountains was quite scenic. The driver was too fast in driving and it was seeming that we will reach the destination quite early. But thanks to the weather. It started raining and hailing and the driver controlled the speed. However, the weather was quite enjoyable and we had fun during the road journey. We also got to see few trees of cherry blossoms amidst the way. Reached the village by 4 PM and checked-in into GMVN Guest House. Just after check-in, we had delectable pakoras and started exploring the village. Initially, the village was looking normal like other villages with no scenic views but then we turned our head and looked back. The magnificent Himalayan peaks were clearly visible in Orange shade as the sun was about to set. We visited the nearby temple and had a short interaction with locals. In the night we packed our stuff for the next day trek and slept. Today was our first trekking day. We got ready and started our trek by 8 AM after having breakfast. We took the trail from the village and started walking. The initial trail was a bit steep but the steep part continued only for few meters. The further route was a mixture of mild uphill and flat trail. We continued our walk through the forest. The trail was scenic as it had trees with colorful leaves on both sides of the trail. 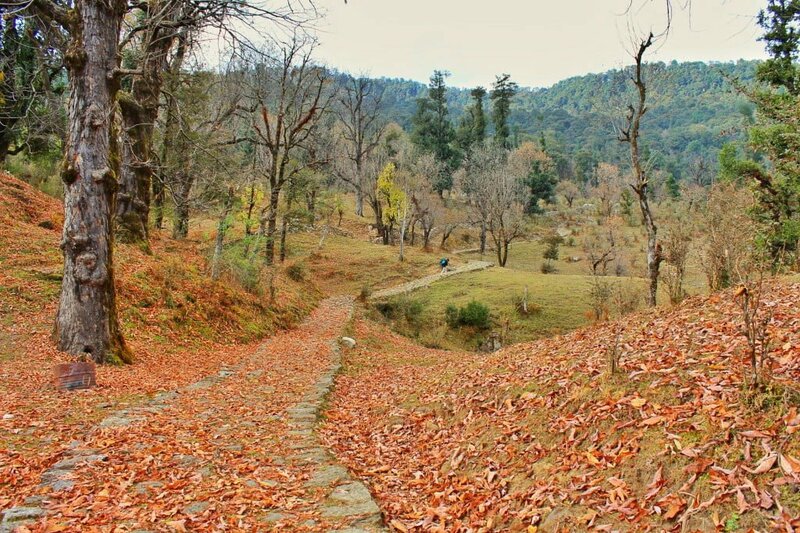 Even the path was covered with those leaves and walking on that route was giving a feel of a crunchy carpet. The forest got finished when we reached the Barnala Campsite. 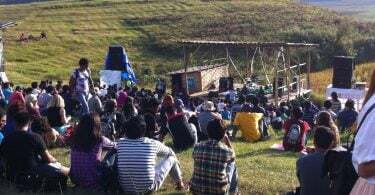 The campsite was situated a few meters below the Barnala Tal, which was a small lake. We continued our walk and reached the lake. It was also our Lunch site so we took a halt there to have our packed lunch. There was also a temple situated beside the lake. While having lunch, the weather changed drastically and it started hailing. The good thing was that it didn’t continue for more time and the weather turned normal. We resumed our trek after lunch and moved towards Dayara Bugyal which was our destination of the day. 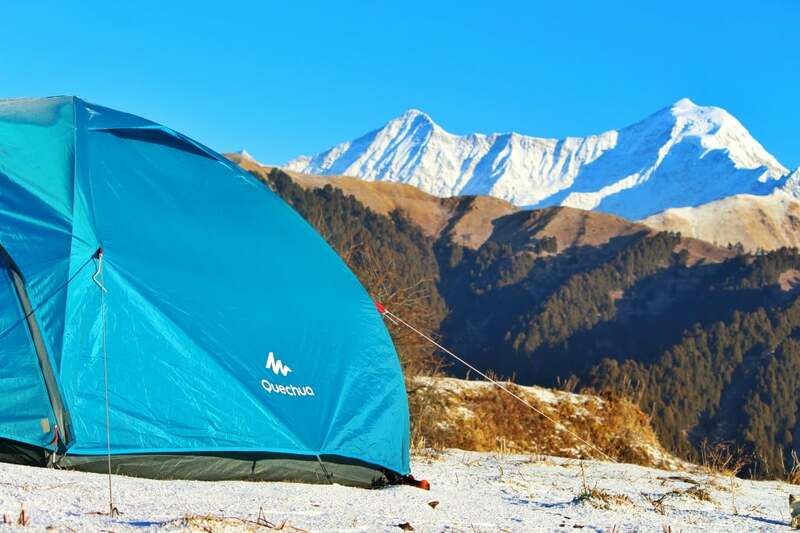 The campsite at Dayara Bugyal was situated at a distance of 2.5 km from Barnala Tal. The trail was paved but steep throughout the way. 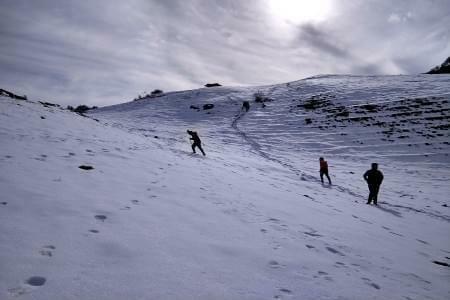 The further trek was a bit difficult as it was steeper than the previous one and we recently had lunch. It took us another 2 hours and finally, we were at Dayara Bugyal. The weather was not giving a good signal as black clouds were approaching us. 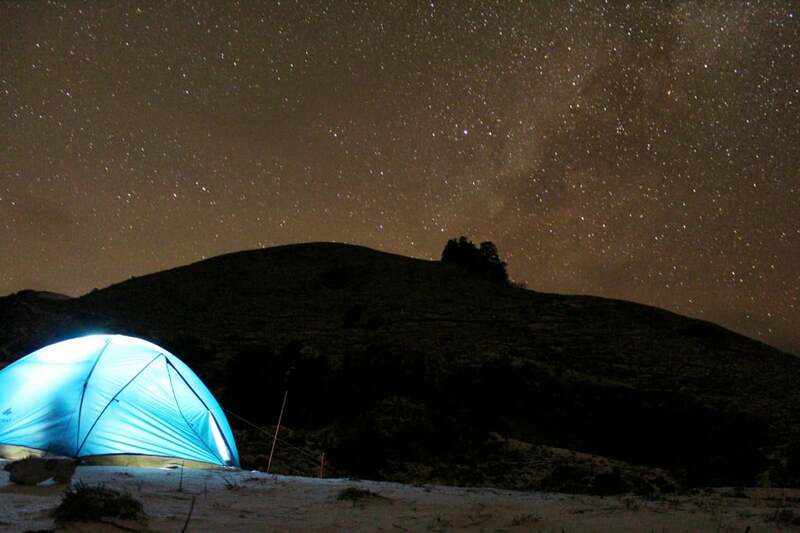 We quickly pitched our tents and decided to rest inside. We got into the tents to have Maggi and tea and suddenly it started snowing heavily. Though it snowed only for one and half hour, still it covered the complete meadow with a white layer of snow. The view was unbelievable beautiful after the snowfall. Later we had dinner and enjoyed the starry night. We all woke up by 8 and the sun was bright and sharp. Opened the zip and saw the mighty Banderpooch massif right in front of us. This was the best moment for me on the trek. We got so excited that we did not put on shoes and got out from the tent barefoot. The view was literally astounding. After clicking photos, we had our breakfast and then headed towards Bakharia Top. The top was around 2 km from the campsite. We began our trek through the snowy meadows. The trail was through the snowy meadows and a mixture of an uphill, downhill and level walk. Apart from Banderpunch massif, we could see the complete Gangotri ranges, Srikanth, Jaonli and Draupadi ka Danda peaks. It took us one hour to reach the last leg of the Bakharia top. The final ascent to the top was quite steep. It made us tired but the view vanished all our tiredness. We got a perfect panoramic view from the top. Had some refreshments while on the top and also shot some timelapse videos of clouds over the Banderpunch. Later we started descending towards our campsite through the same route. We had hot lunch there and then packed up all our stuff because we had to leave for Barnala Tal. The downhill trek was comparatively easy but due to snowfall, the trail became quite slippery. We reached the campsite by late noon and set up our camps. The site was serene and surrounded by dense forest. In the evening we had dinner with the bonfire and called it the day. This was our last day of the trek. We got ready and started our trek to Barsu. As usual, the downhill trek took less time and we reached the village by retracing the same route. After reaching the village, we got freshened up and then boarded the taxi to Dehradun. We drove all the way back to Dehradun and then continued our further journey to home (Delhi). I had a wonderful time on the trek and the Bugyal is quite scenic. 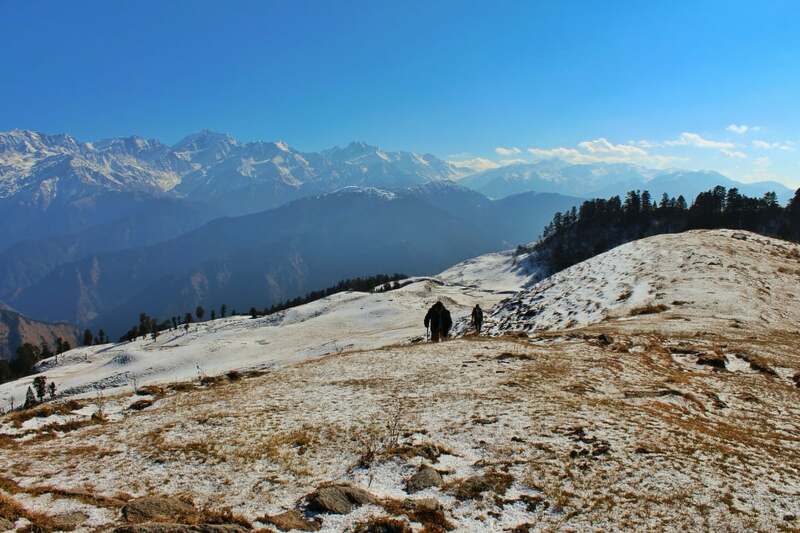 The trek is best for the people looking for a not much difficult trek with great views of the Himalayan peaks. I am a mountaineer and a travel blogger. Love trekking and doing bike road trips. Like using technology but not addicted to it. A true foodie and love eating burgers.